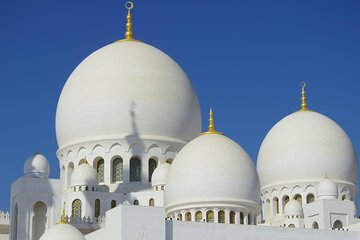 Rather than the effort of hiring cabs or a self-drive car, make a day trip to Abu Dhabi from Dubai super-smooth with this tour. Admire Dubai’s skyscraper-lined Sheikh Zayed Road before traversing the desert to the UAE’s capital. Round up the sights with visits to the Sheikh Zayed Grand Mosque, Heritage Village, and Louvre Museum; snap photos of other landmarks, and learn background about the city you’d likely miss alone.